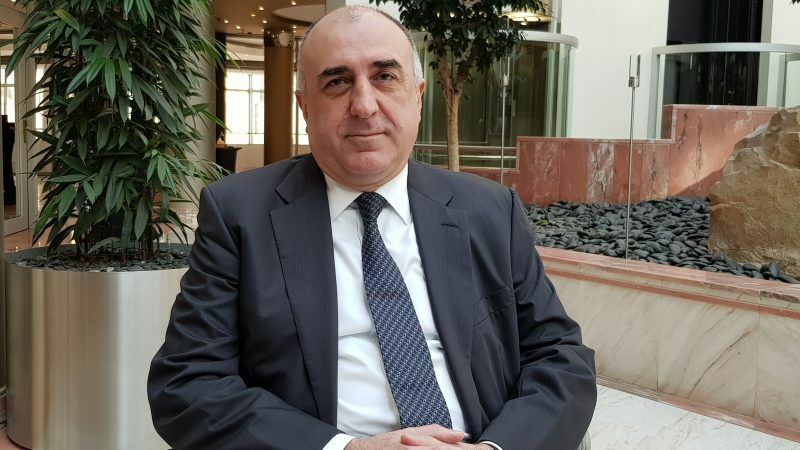 In a wide-ranging interview, the foreign minister of Azerbaijan, Elmar Mammadyarov, discussed his country’s relations with the EU, major energy and transport projects, the Nagorno-Karabakh conflict and relations with global players. Elmar Mammadyarov is an Azerbaijani diplomat who has served as the minister of foreign affairs of Azerbaijan since 2004. A career diplomat, he has served at the United Nations in New York, and as the ambassador of his country to the US and Italy. [Laughs] Will it be a celebration or anniversary? I could be provocative: maybe funeral? Because they are quite different. Correct. I don’t think it was by chance that we moved for a partnership agreement of strategic nature with the EU as equal partners. 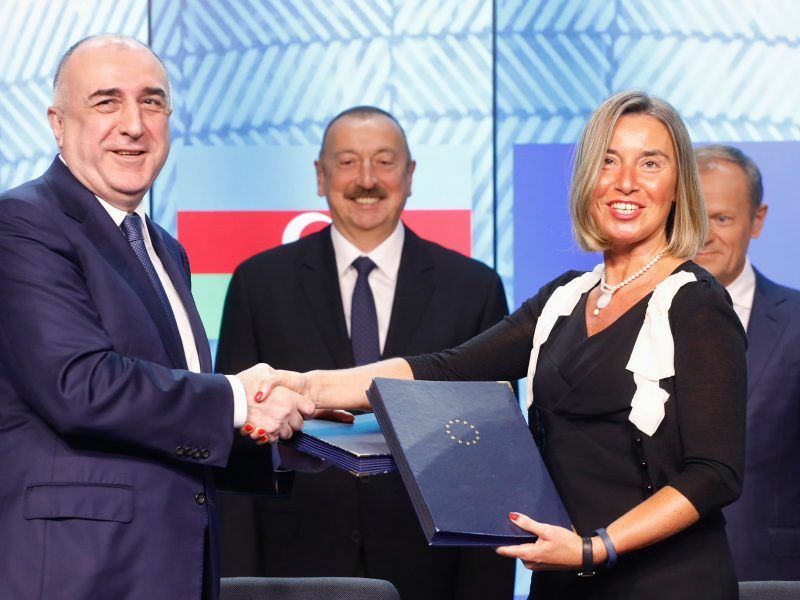 [Azerbaijan is negotiating a “comprehensive agreement” replacing the Association Agreement proposed by the EU in 2010, which had neglected to take into account Baku’s views on the future of relations.] In Barroso times, we signed a strategic partnership agreement on energy. That’s how we secured the Southern gas corridor, which is supported intensively by the EU and all its member states. And I think we are making reality a success story of strategic nature. Part of it has already been inaugurated; I’m talking about the piece on Georgian side, and then the South Anatolian pipeline [TANAP], which was also inaugurated this summer. And the expectation is that we will be right on time for 2020 for the Trans-Adriatic Pipeline [TAP]. Whenever you are talking about oil and gas, it’s always difficult. But the messages we receive from the Italian side are more and more positive. So I think the TAP consortium will do it on time. But there is also another intriguing pipeline, the Ionic-Adriatic pipeline [a proposed natural gas pipeline in Southeast Europe. It would run from Fier in Albania through Montenegro, and Bosnia and Herzegovina, to Split in Croatia]. My president was just on a visit to Croatia and in Zagreb at all levels, at the presidential level, at prime minister level, we negotiated quite thoroughly opportunities for the Ionic-Adriatic pipeline to be part of the Southern gas corridor. But when I’m talking about Azerbaijan-EU cooperation, we will move beyond oil and gas. What we are talking about is transport connectivity. Like China’s One Road – One belt? It’s up to China to decide if they are interested to use the road through Azerbaijan and Georgia, to use the railroad Baku-Tbilisi-Kars that was also inaugurated. It’s already existing infrastructure, with possibilities to connect to Kazakhstan, and the other Central Asian states, because Kazakhstan just inaugurated a new seaport, Kuryk. On our side, it’s a huge seaport, Aylat, already with a capacity of 10 million tons and a capacity to expand it by 25 million tons annually. 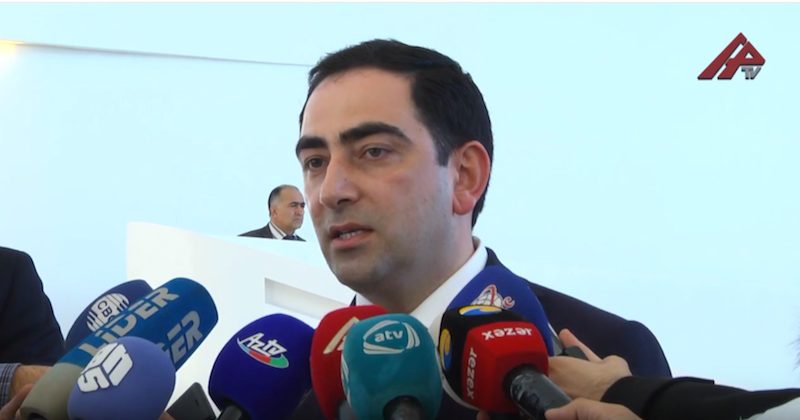 Azerbaijan intends to build a major trading hub close to its capital as a tax-free zone, with the expectation that other countries in the region will replicate the example and give a boost to the entire Eurasia region, Taleh Ziyadov told EURACTIV.com in an exclusive interview. …The rail alternative is much faster, but still more expensive. I don’t think it will be more expensive, we will sit down and work on the modalities to make it cheaper. In August, there was a summit in the Kazakh city of Aktau, which apparently made progress in the delimitation of the Caspian Sea. If connectivity becomes better across the Caspian Sea, many things may change for the better? Leaders of the five Caspian littoral states met on Sunday (12 August) for the Fifth Caspian Summit in Kazakhstan’s port city Aktau to sign a landmark declaration determining the legal status of the Caspian Sea and aiming to end the legal limbo over its resource-rich waters. It’s true. 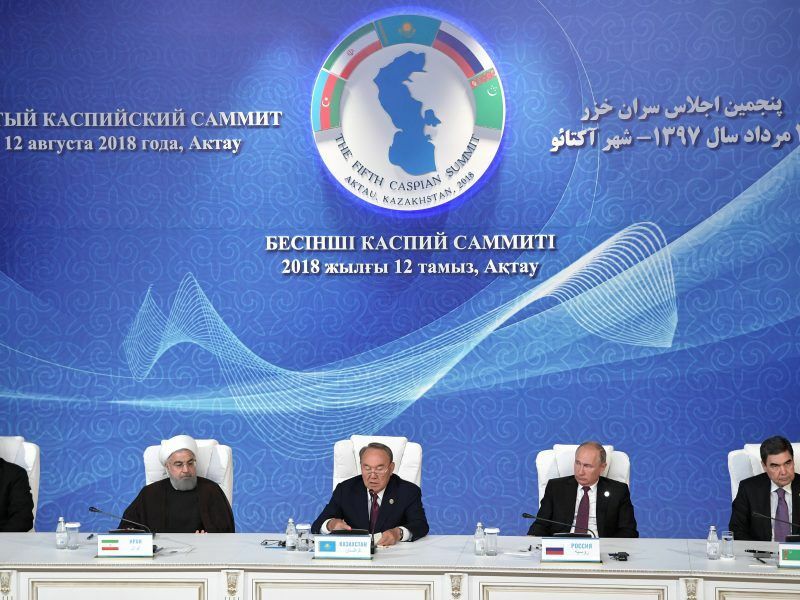 In Aktau, a huge progress was achieved after more than 25 years of negotiations, and the Convention of the legal status of the Caspian Sea was signed at the summit. It was not easy, because of the different positions of the five littoral states. But we managed to find out a consensus language, and I agree with you, this can open a huge opportunity for cooperation, not only between the littoral states but for having more cargo across the Caspian Sea. Turkmenistan is very rich in gas, but it was difficult to imagine a pipeline across the Caspian Sea. Maybe this is to come next? It’s up to the Turkmenistan leadership to decide. The legal status of the Caspian Sea is allowing this. One thing that is important is that it has to be done after a high-level ecological expertise, of the kind that is a condition for any big energy project. Let’s come back to the legal basis of your country’s relation with the EU. The Partnership priorities have been agreed. What stage do you expect to reach before this Commission finishes its term? In diplomacy, there is a very routine answer to that kind of questions. You need two to tango. You are right to raise the issue of the role of the administrations. At the beginning of this month, experts had meetings in Brussels, it was all successful, language has been agreed. It’s not an easy part, because the document is comprehensive, as Europeans call it, we are calling it of a strategic nature. But the name of the document is probably not the most important. Regarding substance, there is a good opportunity to move forward and be able next year at least initialling the document, before it passed, according to the EU rules of procedure, to the member states, and to the European Parliament. So your goal is initialling the document before the term of this Commission? I think so. We managed to establish quite good relations with the relevant Commissioners in this administration. I can mention Vice President Mogherini, Vice-President Šefčovič, who is dealing with energy, Johannes Hahn [in charge of neighbourhood policy] and so on. So you are happy with this Commission, but you don’t know what the next Commission will be? [Laughs] It’s always challenging… I think that the next Commission, when they read the documents we will agree, will recognise that the relation with Azerbaijan is of strategic importance, that it is mutually beneficial. It was an educational process, I will call it. They were more and more understanding, from the Commission side. And I think that today there is also understanding about Azerbaijan’s nature and our standing, how we see our cooperation with the EU. There is more clarity, and everyone is doing their job. And everybody knows we are not troublemakers, or that we would create over-expectations in our cooperation. We are for mutual respect, which brings mutually beneficial results. 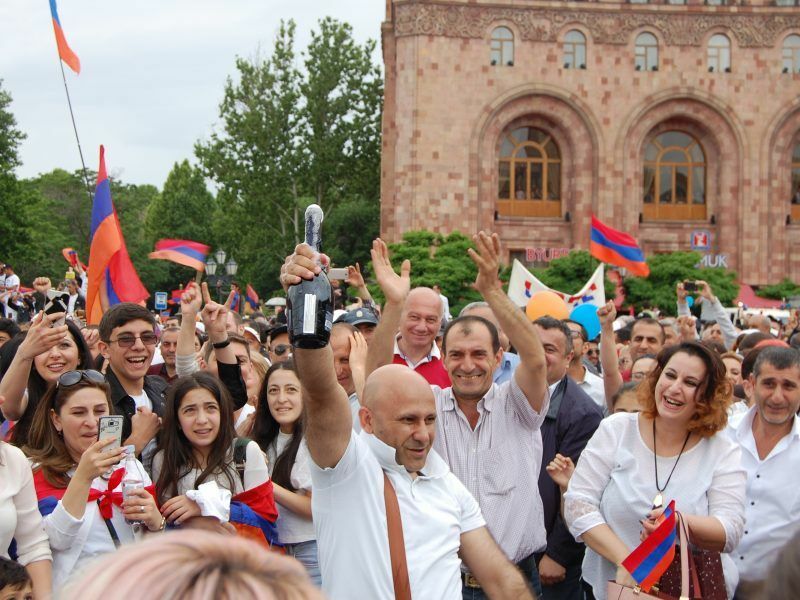 What has changed regarding Nagorno-Karabakh since Armenia has had a new prime minister [Nikol Pashinyan]? From your perspective, he is probably better than his predecessor Serzh Sargsyan? [Laughs] Yes, that’s true. But I will tell you my own impressions following the meeting with my [Armenian] counterpart on the margins of the United Nations General Assembly. I think, the same story, they need the educational process, to learn who is who and what is what, including in the negotiation process. You mean the new Armenian government has to learn? Yes. I hope and I wish there will be more understanding, that without building a good neighbourhood policy, there is no sustainable development, it’s as simple as it is. And the biggest part is for sure the withdrawal of Armenian troops from the occupied territory of Azerbaijan and the return of the internally displaced persons to their places of origin. I think we made a pretty good progress in the negotiations even with the previous administration, but now there is a new one and probably they need a little bit more time to learn about what’s going on in the talks. But to emphasise the major problem, they need to realise and recognise that without good neighbourhood, the sustainable development of the country is impossible. You know Russia well because you were born in the Soviet Union. How do you assess the current state of relations between the EU and Russia, and also Britain and Russia, which seems to be the most difficult? There are talks about further EU sanctions against Russia, what is your opinion? I did my PhD on sanctions, on the famous or infamous Jackson-Vanik amendment [a 1974 provision in United States federal law intended to affect US trade relations with countries with non-market economies, originally, countries of the Communist bloc]. Frankly speaking, I don’t think of sanctions, as a representative of an old-style school of diplomacy I believe in engagement. Sanctions can be a tool, but I always think diplomacy is not exhausted, between as you mentioned EU and Russia, or in our case, when we talk about Iran and the United States. Engagement should also be part of the policy. The climate in the world has also changed after the election of a US president who doesn’t come from the political establishment and has his own ways of doing foreign policy. Do you think anti-system diplomacy works? After the dissolution of the Soviet Union, there was a period of euphoria that everything will go smoothly. But it was precisely in the 1990s that we got this conflict we just discussed, and the bad thing was that UN Security Council resolutions which were adopted with regard to the Armenia-Azerbaijan Nagorno-Karabakh conflict in 1993 are not implemented. And this is the major shortcoming, because all the countries, when they became UN members, recognised the role of the major international body for maintaining peace and security – the UN Security Council, through its resolutions. After the 1990s, the UNSC has adopted more resolutions than from its birth in 1945 until the 1990s. For Azerbaijan, the full respect of international law is paramount. Whenever you start violating those principles, enshrined in the UN Charter, in the Helsinki Final Act, we go nowhere, to the pre-World War II system, when it was possible to take a pencil and draw new borders on the map. That’s probably the biggest challenges the international community is facing. Azerbaijan is not a big country, it’s a small country, and if it international rules are written in the book, they must be respected. …But we are able to manage our neighbourhood, unlike our neighbour Armenia [laughs]. Even for the EU, it’s not easy to deal with Turkey, for example. Do you have some advice? I think I gave you my answer, it’s about the philosophy of engagement. You have to build up a dialogue. Take Azerbaijan and Armenia: we are engaged in talks, we have routine meetings, even at the highest level. But I will not venture to offer advice to the European Commission or the member states on how to deal with the different actors of global politics. Everyone must know how to proceed. It should be more realistic and pragmatic. Rather than lecturing somebody, something we don’t accept ourselves.